Is your skin feeling itchy? Are there red or scaly bumps appearing across your body? No need to panic! Book an appointment with a dermatologist or GP and if you are indeed diagnosed with psoriasis, there are a wide range of possible treatments and psoriasis cures. A number of topical steroids are used to as psoriasis cures. Prolonged use can cause side-effects, such as skin thinning. Among the usual treatments are the steroid betamethasone, which is found under the trade names of Betnovate and Diprosone, while Betacap is used for scalp treatment. Hydrocortisone (Alphaderm) is a milder steroid, used when psoriasis is less severe. A number of topical vitamin D analogues are used to treat psoriasis. Calcipotriol (trade names Dovonex or Daivonex) is commonly used for mild or moderate psoriasis. These compounds rarely give side-effects, and are more suitable for long-term use than steroids. These are sometimes used with mild cases of psoriasis. They can reduce any dryness and itching, but aren’t effective when the psoriasis is extensive. Various commercial formulations are available, although some people prefer to use coconut oil. Coal tar preparations, such as lotions and creams, have long been used psoriasis cures. Older formulations tended to have an unpleasant smell, and also to stain clothing and bedding, but modern formulations have much reduced odour and staining potential. This topical medication, usually found under the trade names Dithrocream or Micanol, is often effective. It is left on the skin for the required period of time, say one hour, then washed off. It can give a burning sensation, and also stains clothing and bedding, so is not always popular with patients. These include the topical pharmaceuticals pimecrolimus (trade name Elidel) and tacrolimus (trade name Protopic), which act by attenuating the activity of the immune system. Unlike steroids, they do not cause skin-thinning with long term use. Some patients find they give a burning sensation, but this often disappears on prolonged use. Various forms of phototherapy are used to cure psoriasis. These are carried out in hospital so that the correct dose is not exceeded. UV B radiation is often used, affecting the surface layer of the skin. An alternative treatment is UV A, used in combination with the compound psoralen. The psoralen can be taken orally or applied topically. Phototherapy can also sometimes be used in combination with topical coal tar or dithranol treatment. Phototherapy is often effective when topical creams alone have failed; however, long term treatment is not recommended, as it can increase the risk of skin cancer. This is an oral medication, trade name Maxtrex, typically prescribed when topical treatments have failed. It inhibits the immune system. It can harm the unborn child, and also affect sperm, so both men and women should take contraceptive precautions if using this drug. Prolonged use can cause damage to the liver, so patients are advised to abstain from alcohol when taking methotrexate, since this can make damage more likely. This is another immunosuppressant drug, used to treat psoriasis when topical treatments fail. Trade names include Capimune, Capsorin and Neoral. It should not be taken during pregnancy or if breastfeeding. Possible side effects include raised blood pressure and kidney damage. This is a retinoid drug (i.e. an analogue of vitamin A), trade name Neotigason, occasionally used to treat severe psoriasis. It can cause various side-effects, such as dryness of the lips and nasal passages, and in rare cases liver damage. The drug can cause serious damage to the unborn child, so should never be taken during pregnancy, and any woman taking it should ensure they use adequate contraception, continuing some years after treatment ceases. It should also be avoided if breastfeeding. Some injectable biological agents, such as adalimumab, etanercept, infliximab and ustekinumab, can be used to cure psoriasis. These are expensive, so are usually used when other treatments have failed. Psoriasis can be made worse by stress, so relaxation techniques, such as yoga or massage, may help some sufferers. 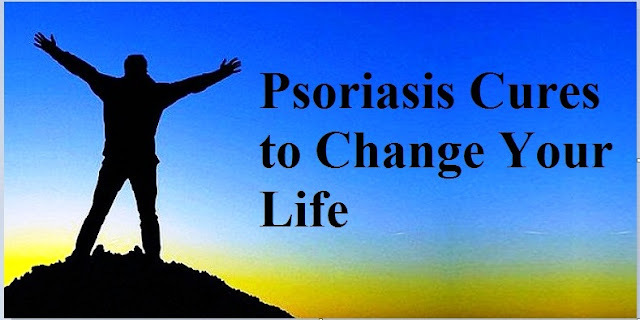 0 Response to "Psoriasis Cures to Change Your Life"